Choosing a focus or a theme will help you create a cohesive look and provide the foundation of your ring stack. Whether you decide to stack gold rings, silver rings, or a mix of both, you’ll also want to pick a focus. 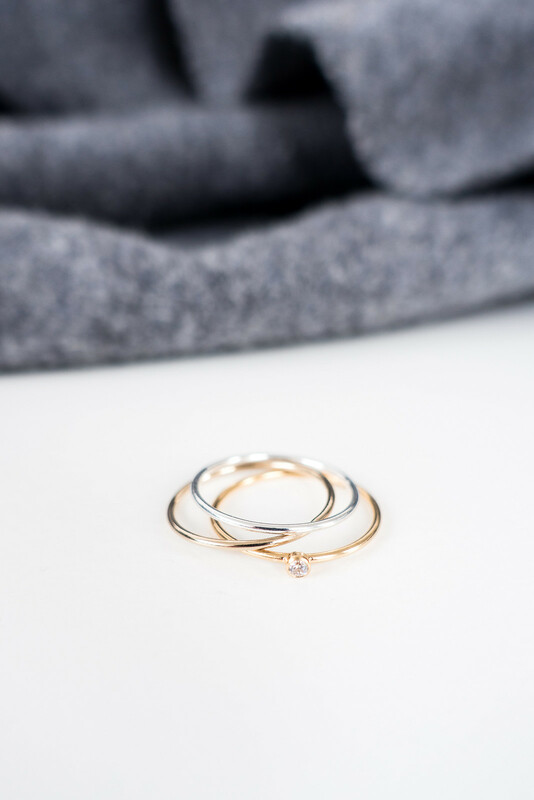 You may already wear a favourite ring, a statement piece, or a wedding band; if you wear a decorative ring already, use this as your focal point and build the rest of your ring stack around it. Decide whether you want to go for a streamlined and minimal look or a bold ring stack with lots of bands and go from there. Stacking rings is easy: the more the merrier. If you stick to wearing thin stacking bands, you can pile them high. You don’t have to put a ring on every finger and you don’t have to make each hand symmetrical. The fun in stacking rings is playing around and deciding what style you like the best - just try it out, see what looks good to you. You could layer midi-rings, create simple stacks using delicate bands, or go all out and stack them high on every finger you can. For a cohesive look, purchase a few rings from the same brand, it makes matching your stacks so much easier. There are no hard and fast rules but we think three to five rings (on one finger) works best. Not a fan of heavy hands stacked high with rings? 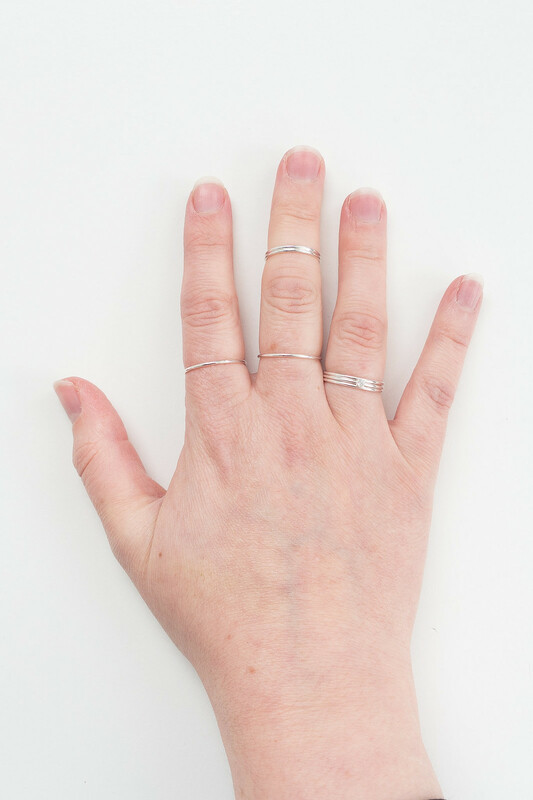 Consider stacking them sideways instead; a simple, minimal approach to stacking rings. Pick three fingers and wear a single ring on each, use midi-rings too. 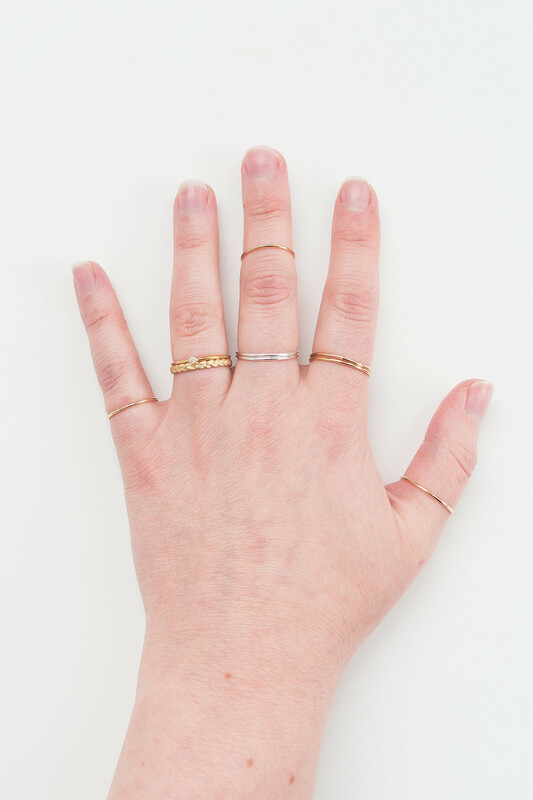 This minimalist approach to stacking rings creates interest without overloading your hands. Three thin bands on each finger creates a delicate look that’s beautiful to style and easy to wear. Stacking rings is about experimentation; think about colour, texture, and shape. Pick a ‘hero ring’ and stack other rings around it. Look for special details in your rings like small stones to add variation, and play with the way you stack them. It’s all about trial and error so mix styles and shapes until you find your favourite combinations; create your own distinctive style. If you want to wear all the same metal, try mixing up the designs, playing with textures and styles or thickness of bands instead. Change it up; mix and match until you find the perfect combination. 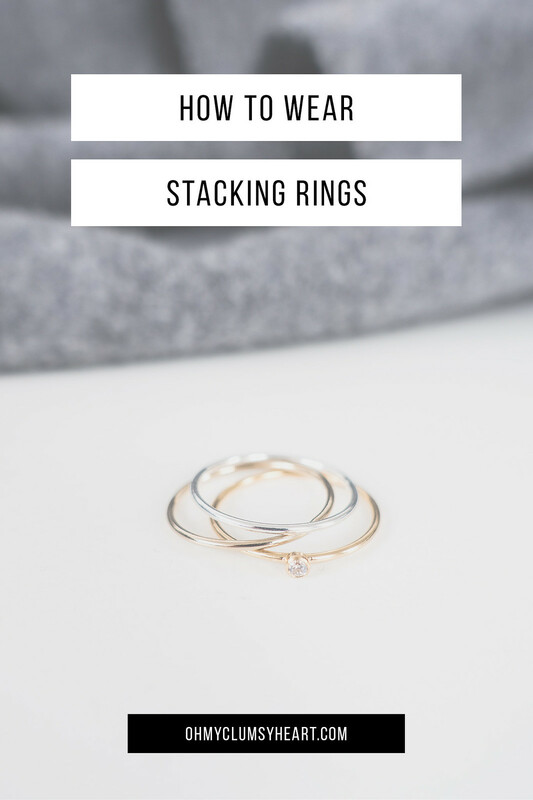 Heard a rule about stacking rings but it’s not working for you? Break it! Do what you want. Go with whatever look good on you whether that’s mixing metals, making a statement with lots of bold rings, or sticking to delicate bands for a streamlined minimalist style. Jewellery should make you look good and feel good - stack your rings however you want.